How to Make Computer Faster ? 5 easy Tips about How to Make Computer Faster. Is your computer running slow?. Or are you having trouble in starting your PC. These might not be the sign of a virus. Follow our detailed guide about How to make computer faster without installing anything. This guide will definitely help you to increase your PC speed by over 30%. How to Make Computer Faster. You must have thought of increasing your system speed ,but is it still slow?. If yes, you can try below techniques to see if your system speeds up. 1: Remove Unwanted Installed Programs. Remove unwanted and unnecessary programmes installed by you. Or by any Third-party software. Since some programs take too much memory to load, it slows down the system. Just uninstall these unwanted softwares one by one. You can see dramatic increase in your PC’s performance. You can also uninstall softwares that are pre-installed in your PC. Such as Vaio Gate or HP Help Desk etc. These softwares take unwanted space in the PC’s main memory. Hence decreasing the speed of the system. Also they are responsible for slow booting time. You can disable unwanted services that are started automatically during startup. This will help to increase your system’s performance. They can be disabled by following below given steps. Type msconfig in windows search box and click enter. Now untick those services that are not required during startup. For example Adobe updater, torrent, origin or google chrome etc. Unticking the services will help PC to boot faster. Since your system can give more resources to other important services. You will need to restart your PC before any changes come into effect. After restarting, you can see an increase of over 40% speed during system booting. This will also increase the overall performance of PC. Also you system will not heat-up during startup. 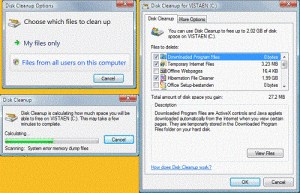 Disk cleanup is a function that helps in cleaning the temporary files of your System. Temporary files are stored in the C drive or Windows directory of a PC. Hence freeing your PC of these files will help in increasing the speed of your system. You can remove these temporary files by following below given steps. 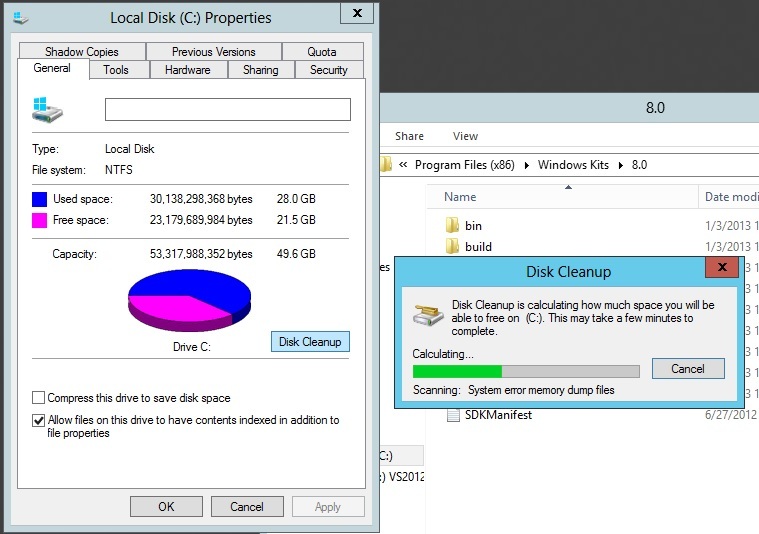 You can open disk Cleanup by . 1: Right Click on your disk you want to clean. 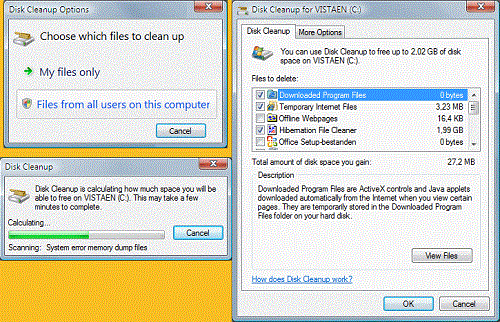 2: In general Tab, click Disk Cleanup and it will check for the unwanted files. 3: After checking, it will prompt for deleting types of files. You can also remove windows.old file using this tool. 4: Regular check for virus using your antivirus program. 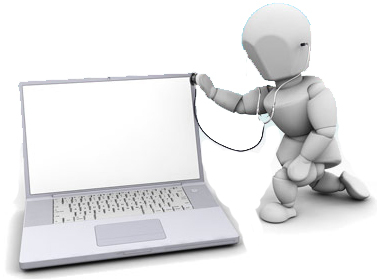 Regular scanning your PC for virus will help you in keeping the system in good shape. There are many free antivirus programs that you can download from below links. Make sure that you don’t install more than 1 antivirus in your PC. This will make your PC run more faster. You can get different antivirus from below links. 5: Remove unwanted desktop shortcuts. Removing unnecessary shortcuts from desktop can increase your computer’s speed during startup. Since during startup, your computer refreshes the home-screen. During this process the CPU has to assign its resources to get the links of those shortcuts. Hence you can help your PC by deleting unnecessary shortcuts from your desktop. We hope that you have succeeded in gaining your system’s speed. Just follow our steps of How to Make Computer Faster and you can gain 30% of speed. If you are still facing any problems due to any unknown problem, comment below. Also subscribe to our newsletter to get latest updates.